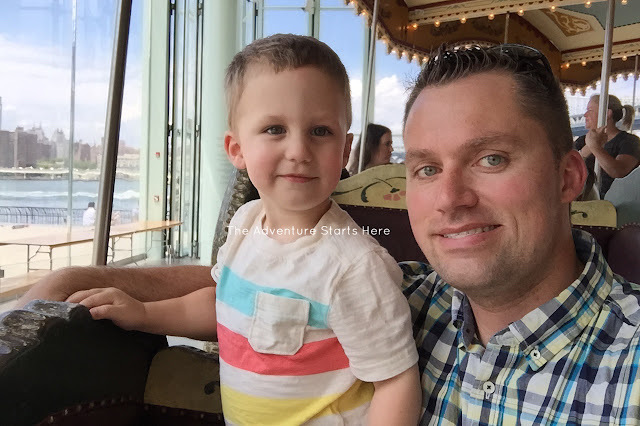 While I blog a lot Noah and what we do on a regular basis, I don't know how much you actually know about my husband, Chris. So, when I saw Elizabeth at Chasin' Mason participate in the The Guys Behind the Blog link-up, I thought it looked like fun :) So here I am, participating in the June edition. Chris works long hours, so during the week our conversations revolve around what we each did that day and filling each other in on any pertinent information. So instead of doing this in person, I emailed him the questions for him to work on during his commute home on the train. Here's your chance to get to know Chris a little bit better with the prompts Betsy came up with. 1 // What’s the best vacation you’ve ever been on? Best vacation is our Italy honeymoon. I've always wanted to go to Italy and our honeymoon gave me the perfect opportunity. Planning the trip to explore 4 different cities made it even more interesting. Having always loved Italian food as well, that was something that I looked forward to. Arriving in Venice, I was just amazed by the amount of water that surrounded the city and all of the boats and canals that were everywhere. It was such a fun city to explore and enjoy. Rome was one of the must see cities for anyone. The historic places alone had my head spinning. The Colesseum was probably my favorite place to see in Rome. Florence was such a pretty city and we stayed at a great hotel that was in the center of everything. Lastly, we stayed in Naples, and the highlight of that city was actually taking a chauffeured drive in a Mercedes into the Amalfi Coast. Overall, there were so many fun and exciting things that we did and saw (and ate) that it was a trip of a lifetime. 2 // If you could go anywhere in the world on vacation, where would you go? I'd pick Australia if I could go anywhere. Always wanted to go there since I was in elementary school. It just seemed like such a fun place that had great beaches and unique animals like kangroos. Unfortunately, a trip to Australia would require a big time commitment of probably 2 weeks, as well as a big monetary price. I hope one day down to the road to be able to make the trip all the way there. It seems like it would be such a fun and relaxing trip. Ironically, we actually met a couple from Australia when we were in Italy on our honeymoon, so I'm sure they'd love to meet up. They have a young daughter too so her and Noah could play together. I'd love to be able to take Noah down to the Jersey Shore for at least a day (maybe more) each summer. Ever since I can remember, my parents would rent a house down the shore for either 1 or 2 weeks. I remember packing the car to the gills and leaving first thing in the morning on a Saturday and then spending a week down the shore. Some years we'd either rent bikes or trek our own bikes down there and bicycle to the end of the island. We'd literally live at the amusement park, Fantasy Island, that was down there. We'd try to play as much mini golf as we could. We'd eat out at all the great restaurants down there, we'd grab ice cream at the Skipper Dipper ice cream shop right near our house, and do a bunch of other annual traditions. A lot of those places are still around, so it will definitely be fun to bring Noah down to those places to allow him to enjoy the things that always brought a smile to my face in the summer. 4 // The 4th of July is coming up…what’s a must-have picnic or BBQ food for you? Must have at a BBQ = corn and watermelon. Once we moved into a new house in the mid 1980's, we had a deck with a grill. We'd have a lot of BBQ's and we'd have a huge spread of food and desserts. One big tradition was to always buy a ton of corn and to shuck it on the deck earlier in the day, then have it on the grill for the BBQ. Another one of my favorite BBQ must haves is watermelon. I've always loved watermelon and I think over the years, I've grown to love it even more, which almost seems hard to believe. Noah definitely likes holding and eating corn, and he's also become a fan of watermelon, so two of my must have items have already passed down to the little guy. 5 // Think about your ideal vacation…are you in a cozy cabin, camping in a tent, or hanging in a hotel? Ideal vacation is sight seeing and a beach/pool. I've always felt that a vacation is a time to relax, and what better place to do that than on a beach and at a pool? I've never really been a fan of cold weather vacations or skiing getaways ,so for me, the beach and pool is the place to be. If you combine that with cool sight seeing and some great restaurants, then you've got me hooked. It's fun to explore new and different scenes and attractions. New restaurants these days are starting to pop up like crazy. The internet is also a great research tool for searching for cool attractions and restaurants. I thoroughly read reviews on a number of different sites like Yelp, Trip Advisor, etc and those usually lead me into the right direction. I love these posts and I love how detailed he was! Hopefully you guys can get to the Jersey Shore this summer and make it a new tradition! I'm so impressed with how detailed he was! Look at those answers. Mine are always like pulling teeth lol. I agree with Chris though... I'd love to go to Australia and I love corn and watermelon at a BBQ! So glad you guys participated this month! Yea, so fun to hear from Chris!! Sounds like you guys had an AMAZING honeymoon, what a cool opportunity. :) Oh, corn on the grill - we will definitely be doing that this summer. Such a fun time of year!! I love these posts! I did my first one today too! And I would love to visit Australia. It has always been a dream of mine! Cute! It sounds like your honeymoon was a hit and filled with many great memories! Corn and watermelon are also my faves. 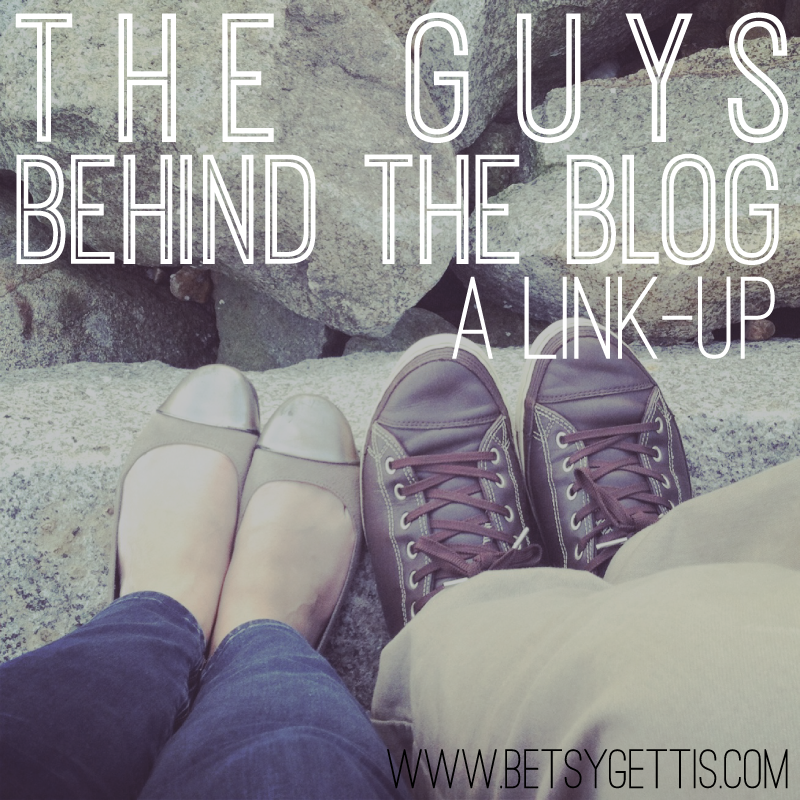 Thanks for linking up with us for Guys Behind the Blog! I would be down for a trip to Australia & it would definitely be disappointing to go to a BBQ without watermelon. ;) Bravo on the extreme detail Chris! It sounds like you guys had a great honeymoon! I think a trip to Australia would be awesome, and I'm actually headed to the shore this week for a day trip! Thanks for linking up with us! New York City - Our Day in Brooklyn! Stitch Fix #2 - Please Help! Spring Bucket List - How did we do?? ?